Do you need an extra energy boost during the stage of motherhood that you are in? This could be the answer for youIt is a galactogogue, meaning it aids milk production.Try drinking it two to three times a day and see how it works for you. If you already produce too much milk and leak, this product is not for you. Tastes earthy and delicious and gives us a nutrition and energy boostGreat for pregnant coffee and tea lovers who want to drink something warm and energizing yet caffeine free and nutritious and alkalizing for your body!The Maya Nut is harvested from the Maya Tree that grows in Mexico and South and Central America. This particular blend was ecologically wild harvested by women from an indigenous Mayan community in the mountains of Jalisco, Mexico and roasted and ground with love. The ancient Mayans survived on this super food in times of famine. It can be used in anything from tortillas, bread, drinks, smoothies to ice cream! 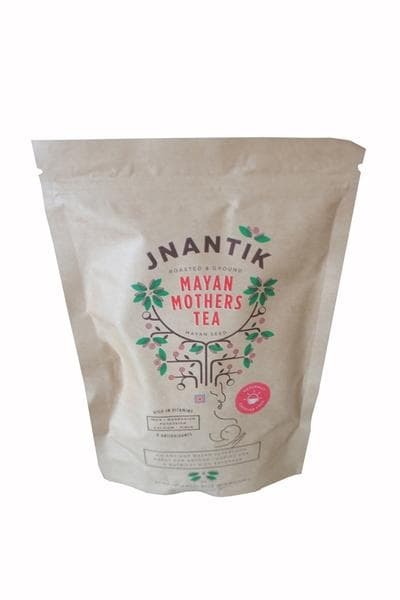 Brew, sip, enjoy and reap the benefits of this magnificent Mayan super food! Jnantik is an llc that has been formed by danielle, from arizona, and her husband Cesar from Jalisco, Mexico. They met in Oaxaca, Mexico in 2010 and instantly felt a powerful connection of love and passion to make positive changes in this world together. In the summer of 2011, they were already expecting their first child, which served to inspire them to go even further in making this world a better place to live in, for their family, and for all. around the world feel when they are breastfeeding their babies. She felt that she was not producing enough milk but she persisted, and persisted and succeeded. 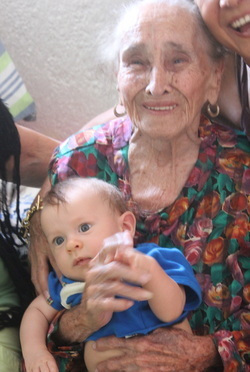 When their baby boy was three months old, they visited her husband's family in Jalisco, Mexico. At a visit with Cesar's great-grandmother, she told Danielle that she felt instinctively that she was not producing enough milk. She offered her a traditional Mayan beverage that she used to drink while nursing her 13 children. Danielle drank it and instantly felt her breasts filling up with milk, and she cried with satisfaction when she heard her baby taking gulps. As these full feedings continued, she witnessed positive mood changes. After this experience, she became convinced that she needed to share this with the world. She knew that so many mothers struggle to produce milk for various reasons, and it is so easy to give up and start giving their child formula. Yet here was an even better alternative, taking this amazing super drink. It helps a mama produce more of the healthiest food in the world for their babies, filled with all of the live enzymes and antibodies that a baby needs to build a strong immune system in this world. "The least we can do for our children is give them a strong start," she thought to herself. As a holistic health counselor who works with mothers and families, she knew that sharing this product was a good idea. She and her husband started investigating more about the drink and learned that this drink is not only amazing for nursing women, but also is great for pregnant women, vegetarians (due to high protein and iron content), children, and all beings! She learned that more than 70 species rely on it to survive, and that the planting of this tree can combat the effects of global warming! Who would not want to support something so incredible, especially after the experience of empowerment of being able to feed her child? She continues to breastfeed her 22 month old and is pregnant with her second child. She feels powered through this experience of simultaneously breastfeeding and supporting a pregnancy by drinking this drink every day. It tastes delicious (like coffee and cocoa! ), and is filled with iron, folic acid, tryptophan, protein, fiber and many other nutrients that make her feel well-nurtured. When the founders of jnantik first found out about this seed and experienced its transforming powers, the jnantik llc was born. Danielle and Cesar want to promote this product to support breastfeeding both in Mexico and the U.S., work on reforestation of the tree, and re-education about its benefits to the communities that they buy from. Roasted and ground Brosimum Alicastrum (Mayan) seed. Traditionally the Mayan seed is mixed with hot water and drank as a hot beverage, or added to breads and tortillas for a nutritional boost.